- PCI Express Test - Provides incoming clocks ranging from 100MHz to 250MHz and power (12V and 3.3V) for quick electrical verification of any PCI Express card (Gen1, 2, and 3). 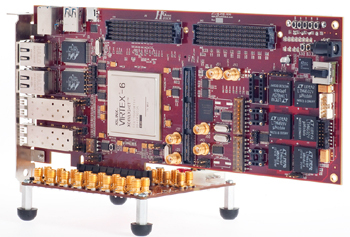 - PCI Express Loopback Test - PHY or Serial Transceivers used as PHY can be tested for functionality and performance. 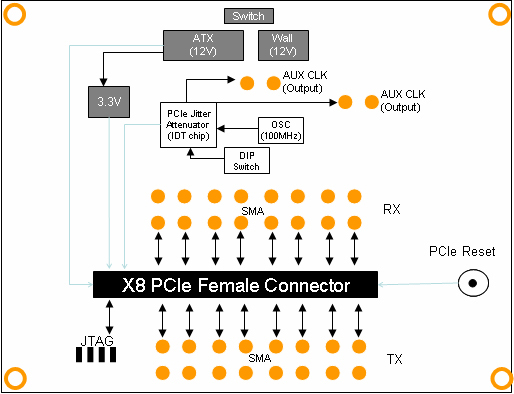 - Serial Transceiver Expansion - Serial Transceivers used as PCIe PHY can be used for other serial interfaces through SMA cables.